We are the sole UK distributor and wholesaler for alloy wheels by Calibre, AEZ, Dotz and Dezent. 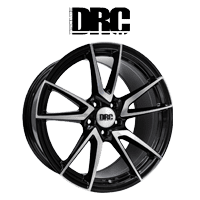 We have also introduced our stunning OE-inspired collection by DRC (Deutsche Räder Co) – ideal for BMW, Audi and Mercedes. You can now search across these top brands, as well as Alcar Stahlrad Steel Wheels, to find wheels with the perfect fit. Our range of alloy wheels is unparalleled, from Retro, to OE inspired; motorsport, to utility. Browse our wheel range by brand below, or enter your vehicle details in our handy search bar at the top of any page to find wheels with the perfect fit. 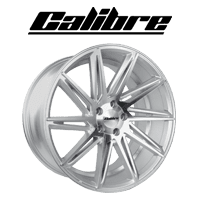 The Calibre range features 54 affordable alloy wheel designs with contemporary, retro and utility styles. Dezent Alloy Wheels are made in Germany and TÜV Approved for a wide range of vehicles.